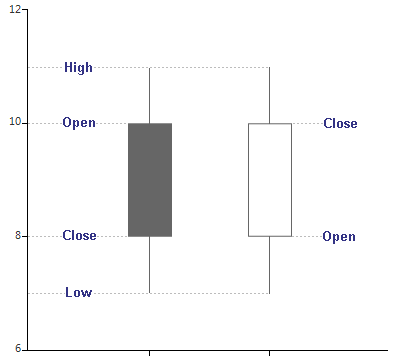 RadChartView introduces support for stock series – both Ohlc (Open-High-Low-Close) and Candlestick. 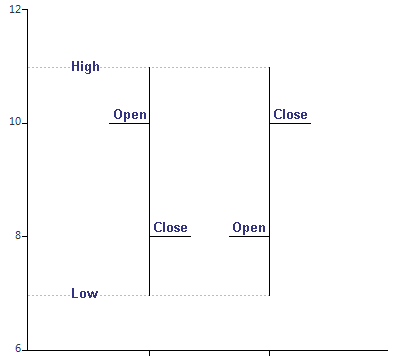 These series operate with special data points which hold information about each the following parameters: open, high, low, close. 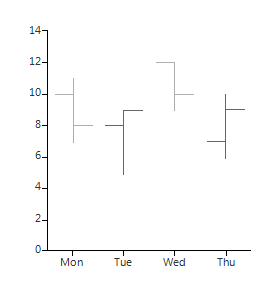 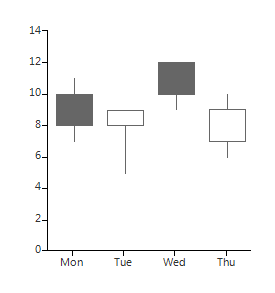 As members of the Categorical series, stock series plot their data upon a categorical (or DateTimeCategorical) axis.